Used 2008 Chevrolet Silverado 3500HD, DESIRABLE FEATURES: 4X4, Leather Seats, Turbocharged, Steering Wheel Controls, Keyless Entry, Diesel, and Dual Climate. This 2008 Chevrolet Silverado 3500HD 4WD Ext Cab 161.5" WB, 59.5" CA LT2 features a Dark Blue Metallic Exterior with a Light Titanium/ebony Cloth Interior and has only 294,386 miles. 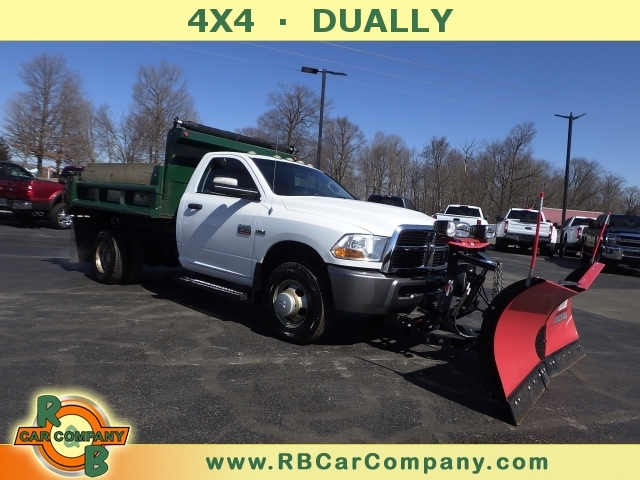 DEALER CONTACT INFO: Call R & B Car Company Columbia City today at (800) 260-1833 TO SCHEDULE YOUR TEST DRIVE of this 2008 Chevrolet Silverado 3500HD 4WD Ext Cab 161.5" WB, 59.5" CA LT2! R & B Car Company Columbia City. You can also visit us at, 950 N 400 W Columbia City IN, 46725 to check it out in person! Transmission: Transmission, Allison 1000 6-speed Automatic, Electronically Controlled With Overdrive, Electronic Engine Grade Braking And Tow/haul Mode. / Includes (knp) External Transmission Oil Cooler. Radio: Audio System With Navigation, Am/fm Stereo With Mp3 Compatible Cd Player And Multimedia Navigation / With Voice Prompts, Seek-and-scan, Digital Clock, Auto-tone Control, Radio Data System (rds), Speed-compensated Volume And Theftlock. Additional Options: Provision For Cab Roof-mounted Lamp/beacon / Provides An Instrument Panel-mounted Switch And Electrical Wiring Tucked Beneath The Headliner For A Body Upfitter To Connect A Body-mounted Warning Or Emergency Lamp. 30-amp Nominal Rating. Additional Options: Jack And Tools Delete / Deletes The Jack And Tire Change Tools That Are Standard. Additional Options: Governor, 70 Mph / Provides Electronic Software To Facilitate 70-mph Maximum Road Speed. Additional Options: Tail Lamp, Single Bulb / Provides Single Tail Lamp Bulb Calibration For Bulb Outage Detection Used On Aftermarket Bodies. Additional Options: Special Paint, Solid, One Color / All Normally Body Colored Non-sheet Metal Parts Will Be Flat Black.